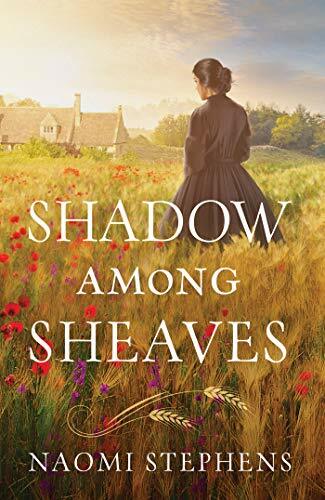 Shadow Among Sheaves by Naomi Stephens is her debut novel that releases tomorrow in print and is available now on Kindle. This novel is a retelling of the story of Ruth, but set in India and Great Britain during the colonial period. I was thrilled to read this book for many reasons. I've always loved the book of Ruth and the undying love Ruth showed to her mother-in-law. I have always been fascinated with the British colonization of India and found that part of the novel really interesting. I love that the author decided to tell this story, dealing with issues of cultural differences and discrimination in that time period. All of these issues are still pertinent today. The idea for the book was wonderful and the plot was okay as well. The book is well-researched. I really, really wanted to love this book, but I didn't. I found the main characters not likable for the most part. Their behavior was often irritating to me as a reader. Also, I found some language and situations a bit inappropriate for Christian Fiction. I was looking forward to recommending this particular book to a friend, but reading through the book made me realize that I could not do that. I received a copy of this book from the publisher with no obligations. These opinions are entirely my own.